Nabil Fekir is not interested in a move to Chelsea, who are not in this season’s Champions League. Liverpool remain his preferred destination, although it doesn’t look like we’re going to back in for the World Cup winner, sadly. “We don’t know what will happen in the future but I am very happy at Lyon. I feel brilliant in this squad. We have very good players, a great atmosphere. To us, this sounds like a man who’s very much accepted his dream Anfield switch is dead. 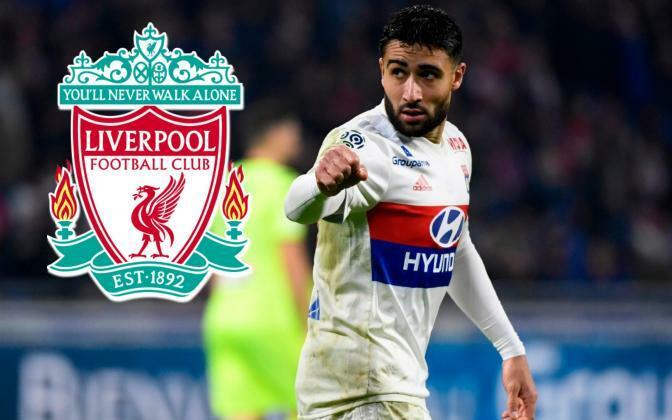 Fekir had finalised personal terms and was on the brink of signing back in May, but knee problems showed up in a medical and Liverpool pulled out of the deal. Anfield Index cannot believe we haven’t targeted an alternative, especially with Bayer Leverkusen’s Leon Bailey available. Listen to their full podcast on LFC’s transfer plans by signing up, here. Liverpool’s starting XI is superb, but despite our new signings, depth is still an issue. At the beginning of last term, we had Coutinho, Emre Can and Alex Oxlade-Chamberlain to choose from, so the arrivals of Naby Keita, Fabinho and Xherdan Shaqiri are replacements rather than squad bolsterers. If Sadio Mane or Mo Salah get injured, we’ll lack decisive pace and goals in wide areas, although Shaqiri’s pre-season form suggests we’ve got an absolute bargain who could provide creativity and goals in a number of positions. Like always, injuries have the potential to derail our progress and one more body would ease this pressure, in our opinion.